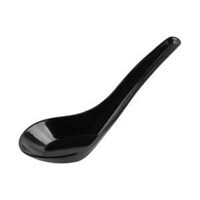 The porridge spoon / Black Duck can complement your dining table. perfect for enjoying a variety of dishes of porridge, soup, ice mix, etc. 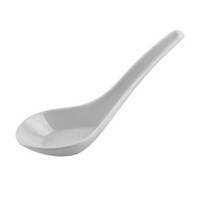 Spoon porridge / Duck this could be a more appropriate choice.SPOON MUSH / BLACK DUCKProduct DetailBrand: Glori MelamineMaterial: Food Grade MelamineBlack1 Box contents 480 PcsPurchase in increments of 1 BoxProduced by PT. Multi Anugrah SuccessMade in IndonesiaSpecifications (Per Item)Length: 13cmWidth: 5cmHeight: 5cmWeight: 22 gramsexcellenceStrongshineScratch resistantMatch Quality: ISO 9001: 2008, ISO 7322: 2008Heat Resistant: Created for usage at a temperature of -20C to + 120C. Buat Permintaan Untuk "Sendok Bubur"